All Grain Plus Extract Special/Best/Premium Bitter homebrew recipe. This homebrew recipe uses the following ingredients: Dry Malt Extract - Light - US, Dry Malt Extract - Wheat - US, Victory Malt - US, CaraVienna - BE, Warrior Hops, Amarillo Hops, Fermentis Safale US-05 Homebrew Yeast. This recipe was cloned from Golden Ale Extract. This recipe does not have any special instructions. How are these calculations made? 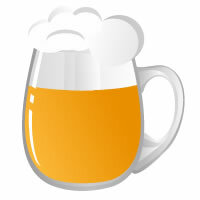 Brewgr is an online homebrew community and recipe calculator to help homebrewers find, create and share homebrew recipes with other homebrewers.